First thing for any small business to note is that marketing plans do not have to be a complicated fifty page document. Marketing plans and go-to-marketing strategies may get more advanced and complicated as a business grows but for the vast majorities of companies a simple, effective marketing plan will suffice. Do not write a marketing plan to please an investor or bank manager, write the marketing plan as your best bet to get customers interested into what you are selling. Most small businesses will usually find one key marketing tactic that produces a consistent return on investment (ROI) plus two or three secondary tactics which when added together allows the business to grow revenue. The key marketing tactic can range from trade-shows, SEO, PPC, inbound marketing, social selling to advertising. The key marketing tactic selected is the marketing foundation and it needs to be solid, deliver consistent results and removes any fear of the marketing plan failing. Don’t panic if your business is new or it has not found one yet, please read on. This is important as it defines your cost of customer acquisition (what it costs a business to get a customer to buy from them) and how much a business can afford to pay for clicks, traffic and a sales lead. The business should also figure in customer churn, do not over calculate how often or how long a customer will stay loyal to a business. Depending on the business model, the marketing plan also affects cash flow, because you pay for marketing upfront with a lag over weeks or months to get an ROI on the tactics. The lifetime value (profit) of the average customer is LESS than €200. The products or services sold may cost €50 to €200 or higher AND as a business if you sell to that customer two, three, four times over a three year period, the profit on that customer would be less than €500. An example of this could be an online florist. A bouquet of flowers costs €55, but the customer is probably going to buy two or three times a year means the likely profit from that customer is less than €200. The lifetime value (profit) of the average customer is LESS than €2000. The vast majority of businesses fall into this category. The premise here is that the product or service costs an amount that will generate a €2k profit, OR the average customer buys more than once over a period of time with the total purchases adding up to more than €2000 profit. An example here is an online SaaS software company. The average monthly subscription is €50. That is €600 a year over three years = €1800. With a 60% profit margin this comes to €1080 for the lifetime value (profit) of the customer. The lifetime value (profit) of the average customer is ABOVE €2000. This category usually applies to large one of consumer purchases or a B2B sales environment. The calculation here is that the sale or number of sales over a period of time (36 months) will generate in excess of €2000 profit for the business. So, now that you have assigned your business to category 1, 2 or 3, here is some suggested key marketing tactics as the foundation to drive the business growth. The key marketing KPI here is can you generate leads/traffic/enquires for less than €1 and the cost of customer acquisition (getting a sales or purchase) is no more than €10. A simple marketing metric is the business sold to 100 customers in a month and spent €100 on marketing, so the cost per sale was €1. Maybe distribute flyers door to door with special offers, advertise locally online with free samples, and optimise your website for local target keywords. Ask customers for referrals to add to your email marketing newsletters. Send OUT newsletters to your existing customers. Attend local events and business organisations. Find one key marketing activity that generates enough customers where it costs the business as little as possible to get a sale. In this category the sales cycle could be longer or need sales intervention. The business will need to generate a high enough volume of leads to generate the ROI needed to be successful. SEO work can be critical here but this should be part of an inbound marketing tactic. The use of social networks for social selling and content marketing to influence buyers should be considered. A good email marketing solution and a resource to work on social media campaigns is probably a must. Budgets permitting, Google Ad Words will deliver the quickest bang for your marketing buck alongside social media tactics. Depending on your market segment, where customers generate a profit north of €2000 usually involves more lead nurturing, heavier buyer influence, bigger social media reach and plans for a more guided sales cycle. I have seen companies successfully use events as their key marketing tactic even if the sales cycle and cost per lead required more investment. 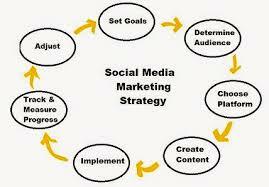 The biggest success tactic from a marketing activity now used in this category is content marketing. Maybe consider putting a lead generation person on social selling to generate customer interest. A business needs to invest in resourcing the writing and publishing of well executed articles and whitepapers to set the business as a thought leader in their industry. While the cost per sales lead and cost of customer acquisition can be higher, the marketing plan tactics needs to deliver more solid leads or higher qualified customers as the marketing investment in this category can seriously impact the cash flow of a smaller business. Regardless of 1, 2 or 3, the key to making a marketing plan work is to be: CONSISTENT. Plans take time, for a plan to work it must be implemented with both the heart and the head. Every marketing plan has to have KPI’s and metrics. Implement, stick with it and adjust where necessary. Do not adopt the “give it a whirl” approach or alter course before the data supports the decision. In a digital world, social media marketing has overtaken sales and even brands as the core business driver. The buyer-supplier relationship has moved on, fast, the marketing plan needs to address how to deliver a consistent return on investment (ROI) via a key marketing tactic plus two or three secondary tactics which when added together matches the business strategy for growth. A marketing plan will help a business identify the markets, product to market fit, customers and competitors which underpins the strategy selection to make a business sustainable. 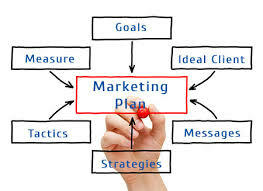 This marketing plan template courtesy of The Bitter Business can act as a guide through the process of creating a solid, well thought out marketing plan for your business. A good well thought out marketing plan will help the business stakeholders to answer key questions about the business, and act as a reference document to help the team execute the marketing strategy. It will also help develop a structured approach to creating services and products that satisfy the market and customers’ needs. When writing a marketing plan, always be clear about the marketing objectives and how the business is going to achieve them. This free marketing plan template can be a guide in setting those realistic and measurable objectives, budgets and action plans with ability to allocate resources.